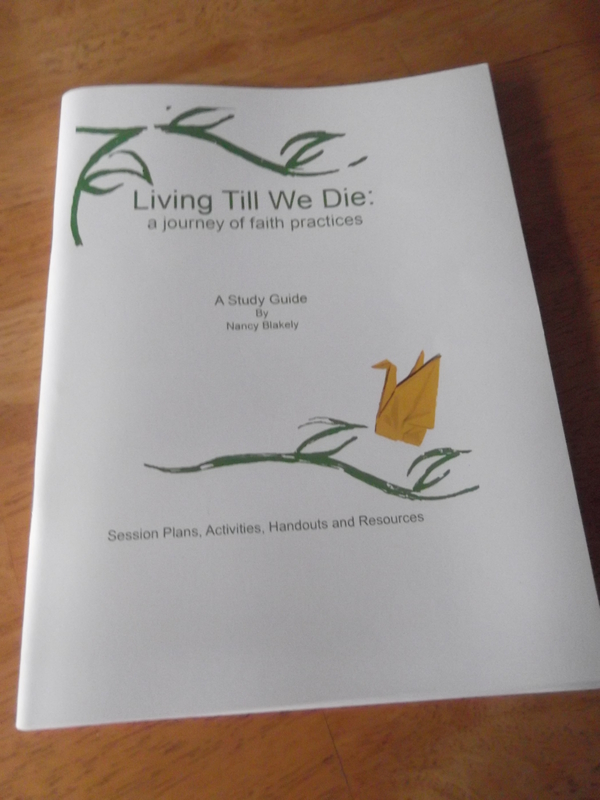 The study guide, Living Till We Die: a journey of faith practices, was developed from a pilot course held at Hospice of the Upstate (SC) and was made possible through a grant from the Valparaiso Project on the Education and Formation of People in Faith. Recognizing the difficulty people have in discussing end of life issues, the course seeks to create a safe environment to begin that conversation within the community of faith. Bringing together resources and activities, the course encourages reflection on the questions, “Can we flourish in the face of death? Are we able to begin doing that now?” In this course, we affirm that God’s gift of faith makes that possible. Also, there are specific ways we can practice living out that faith. The primary resource for the study is the book, Practicing Our Faith: A Way of Life for a Searching People, ed. Dorothy C. Bass. For the initial course, six of the twelve faith practices found there were chosen to be examined during the six successive Fridays during Lent, meeting two hours each week. Those six faith practices, considered through an end of life perspective are: Honoring the Body, Keeping Sabbath, Forgiveness, Healing, Dying Well, and Singing Our Lives. This study guide was then developed so that others could design their own course, picking and choosing which activities are most useful and will fit into their allotted time frame. Thus, the study can be adapted for many different settings: Sunday School classes, weekend retreats, community forums, adult Vacation Bible School, personal study and vocation, even youth confirmation classes (it is never too early to learn faith practices that will set the pattern of one’s life). Are You a Positive Listener? Nancy Blakely does such good work! Grateful to see it here.